The following is what we are releasing in relation to the early morning fatal crash that occurred on February 6, 2019, at Santa Fe and Mineral. 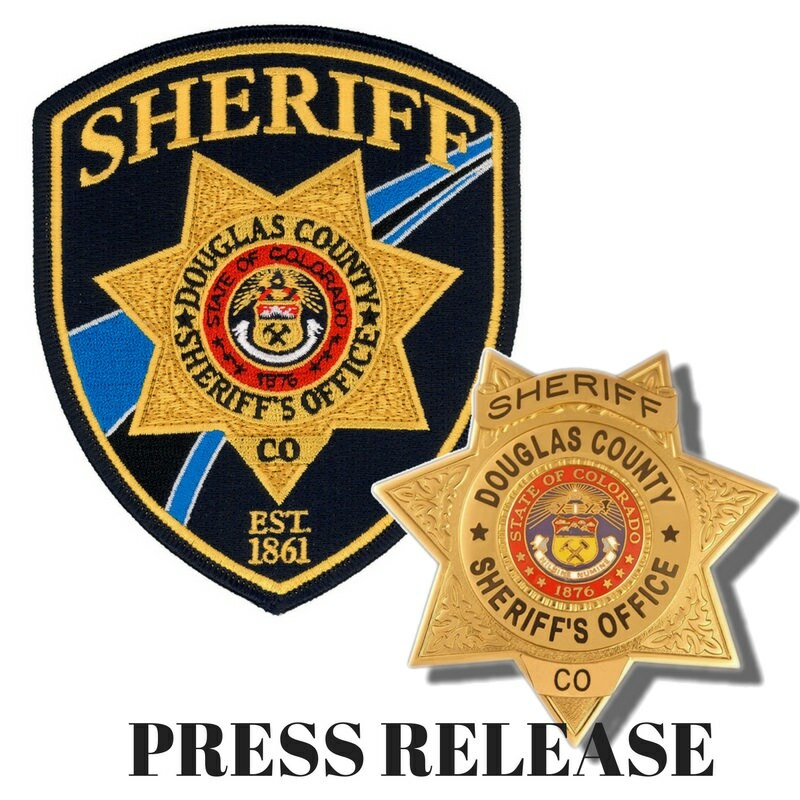 • On 020619 around 0200 hours a deputy on routine patrol spotted two suspicious vehicles in a neighborhood in Castle Pines. • The deputy tried to catch up to the vehicles and at Hwy 85 and Daniels Park Road attempted a traffic stop on a silver Jeep as the Mitsubishi sped away northbound. • The jeep appeared to slow down and pull over but at the last minute took off again. • The deputy lost sight of the Mitsubishi but radioed deputies to the north the description of the vehicle while still attempting to stop the Jeep. • The Jeep failed to stop and drove recklessly in both lanes of traffic at speeds over 100 mph. • At this point the driver of the Jeep was engaging in driving behavior that created a substantial risk of death or serious bodily injury to the public. • During the pursuit north on Hwy 85, deputies attempted to use stop sticks at least four different times to stop or at least slow the Jeep down. • At Highlands Ranch Parkway, a Black Mitsubishi passed a deputy on the wrong side of the road, far ahead of the pursuit of the Jeep, the deputy got behind it and attempted a traffic stop. • The Mitsubishi, driving northbound in the southbound lanes of Hwy 85 failed to yield and as stop sticks were deployed continued northbound while the deputy’s car was disabled by them. • As deputies got in position to use stop sticks at Santa Fe and County Line, the Mitsubishi with no officer behind it, sped past the deputy at a high rate of speed, continuing northbound in the southbound lanes. • The deputy tried to catch up to that vehicle and as he crested the hill before Mineral Avenue, he noticed that the crash had occurred. A little over 2 minutes was the total time deputies were engaged with the Mitsubishi. • The pursuit of the Jeep continued but was terminated once it was aired that the crash had occurred. • The Jeep was found abandoned a few miles north of the crash site. • We were able to determine that both vehicles were stolen. The Jeep had just been stolen from Castle Pines and a loaded handgun was found in the Black Mitsubishi. • The Littleton Police Department is investigating the crash at Mineral and Santa Fe Drive as video is being analyzed for evidence of causation. • The female driver in the Black Mitsubishi, identified as Deanna Mae Bixby dob 11-22-98, was taken into custody on three active warrants as well as pending charges from our agency. She is currently at an area hospital, no information on her injuries is being released. • The driver of the jeep is still at large, but again our investigators have been working around the clock to identify and locate this person. As stated before this is an active investigation and more information with be released when it becomes available.